A sincere “thank you” at work means a lot, so it makes sense to find ways to show your employees you appreciate them throughout the year. Whether you choose to celebrate the Easter Holiday or Springtime, your employees will be grateful for the recognition and the post-winter pick-me-up. “When you offer a real thought-out “thank you” to someone, you’re acknowledging her effort, appreciating her thoughtfulness, recognizing her intent, and offering feedback on the impact of her actions. But is it appropriate to celebrate Easter in the workplace? An article by Society for Human Resource Management (SHRM) staff in HR Magazine makes a great point about any workplace gifts or festivities for holidays: Make sure everyone feels included. If that means a more secular approach for your organization is a better fit, don’t loose the great opportunity to thank employees, just change your emphasis to celebrating the emergence of Spring. 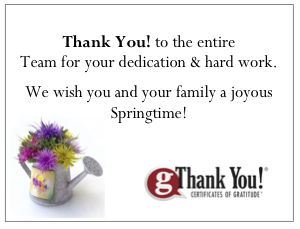 Thank employees for their work throughout the year. Give everyone a small gift. Share a meal with employees. Homemade Treats—Hot cross buns, carrot cake muffins, cupcakes with bright-colored frosting, or decorated sugar cookies say Happy Easter or Happy Spring. Gift Baskets—While they’re typically for kids, what adult wouldn’t want to receive basket full of chocolate and other goodies? Items that Say “Spring is Coming”—Try a flower-pot with a packet of seeds or planted spring bulbs that will bloom in the office. Small Gift Certificates or Gift Cards—Employees will appreciate even a $5 certificate for pie or ice cream. Something they can enjoy alone, or share with their family. There’s a gift certificate or card for every budget. Office Party – Host an office breakfast or special lunch. Make it festive and everyone will enjoy the special break. It’s a great way to celebrate a team or work group. Get Outside – Celebrate by planting flowers at a local shelter. Write a Thank You Note – Personalized notes of gratitude are always a welcomed gift of recognition. If you go the party route, SmallBusinessFreeForms.com offers a free Easter party flyer. If you choose homemade gifts, Workplace Communication.com, in “Easter Basket to Make for the Workplace,” suggests a fun way to make them. If your staff is small, maybe a group could have a (paid) work party and make them for the rest of the team. 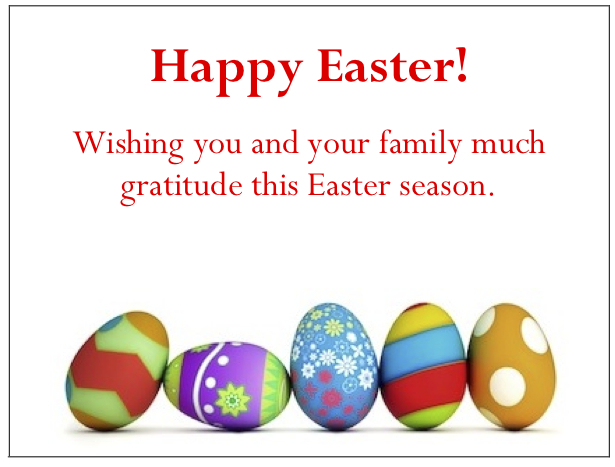 How does your business thank Employees at Easter time? Do you celebrate the Easter holiday or make it a Spring-theme event? Zoosk.com works hard and plays hard – and that translates to employees feeling engaged and excited about working for the company. She quotes Paul Vagadori, senior human resources director for San Francisco-based Zoosk.com, an online dating community: “We work hard, we play hard.” Check out the Zoosk.com blog – it looks fun to work there! In his fast-paced company, Vagadori knows how important it is to show employees the company values and appreciates their stellar efforts. “We want to show them we’re willing to invest time and money for what they do,” he tells Hottman. A Thanksgiving potluck — the company springs for entrées and each employee brings a favorite dish. A fun pub event in mid-December—everyone enjoys beer and snacks. A formal gala at year-end — a professional photographer takes pictures as employees and their dates play games and hit the gambling tables, and everyone gets a framed photo at the end. The company gives other holiday gifts, too. Extra paid time off — so employees can be with family and friends. Bonuses — merit-based gifts for going above and beyond. Small, useful gifts — nice travel mugs with the company logo, or gift certificates of gratitude. Opportunities to give back to the community — a giving tree, where employees take tags and buy gifts for a family in need, and a food bank. Be creative and make it personal when you give workplace gifts during the holidays and year-round. You’ll more than reap the benefits in employee retention and goodwill. What’s your plan for holiday giving this year? SHRM’s annual survey says 72% of employers plan to host holiday parties this year – do you? You don’t have to spend a lot on employee gifts, but to get full value for what you do spend, add a personal touch. Wouldn’t it be great if all employers had the wherewithal to buy each employee a cashmere sweater, as The Huffington Post reports that president and editor in chief Arianna Huffington does every year? The article, “Arianna Huffington Gifts AOL/HuffPost Employees Annual Holiday Sweaters,” notes that this year she had quite a few to give, as she now has several thousand employees across multiple offices and cities. Then everyone donned their sweaters and got together for a giant group photo. Gave appropriate gifts that weren’t too personal. Clothing can actually be a little tricky if you don’t know your workforce well—you might be better off with gift cards or gift certificates for something employees can buy at their convenience at the stores of their choice. How could Huffington have improved the workplace gifting experience? By making it more personal. The gifts themselves are personal and doubtless appreciated. The employees clearly had fun trying the sweaters on, swapping, and gathering for photos. Maybe Huffington included a personal note thanking each employee for his or her excellent work and the article didn’t say so. If so, the gifts were inestimably more valuable. It’s the personal connection that makes all the difference. If you can, give gifts personally, with a handshake, a smile and a thank you. If that’s not practical, how about a thank you by video conference before employees open their gifts? Or at least a personal note. Organizations will engage and retain their employees if they can clearly make the link between people, their performance, and business results. To learn more best practice tips to make your employee holiday gift-giving successful, you’ll want to download our free eBook below. Download your free eBook “The Ultimate Guide to Employee Gift-Giving” Now! How do you make workplace gifting personal and meaningful? So you bought your employees gift certificates for a holiday turkey or ham, or maybe a pie or some ice cream. Don’t just stuff them in workplace mailboxes. The way you give employee gifts is even more important than what you give. Employee gifts should be given in person whenever possible. Make your gifts as meaningful as possible by distributing them personally, with a handshake, big smile and “thank you!”. An employee who feels valued has better morale, productivity and loyalty. Make sure your personal delivery conveys your sincere gratitude for employees’ hard work for you. Recognition only has meaning when it comes from someone who benefits from employees’ performance: their managers. If you have human resources staff distribute your gift certificates, it’s impersonal and a poor use of resources. Human resources can order your gThankYou! gift certificates, but managers should deliver them personally, with a smile and a handshake. If that’s not possible, managers should write a personal note to include with each employee’s gift certificate. Most employees appreciate public recognition, too. You could host a gathering with simple refreshments and call employees up to the front of the room, one by one, to receive their gift certificates along with your personal thanks — and maybe deliver a positive anecdote about the employee’s performance. So it’s not surprising that, as reported in Toronto’s Globe and Mail, a survey by PricewaterhouseCoopers and OfficeTeam shows that 33 percent of workers in North America believe their manager fails to recognize them. Remember—the interaction between a manager and an employee is more important than the gift itself. It’s an opportunity to show your sincere gratitude and build long-term trust and loyalty. How does your workplace distribute employee gifts? gThankYou! announces our new Catalog of Winter Holiday Enclosure Card Designs – Perfect for your employee gift giving this holiday season! Our new Design Catalog makes it easier to see all our free Winter Holiday Enclosure Card Designs at once, and easily share them with managers and co-workers. Our Enclosure Cards come free with any purchase of gThankYou! Certificates of Gratitude. You choose your design, customize your message and even add a Company logo! Inside this Free Catalog you’ll find many new fun seasonal designs and popular favorites to choose from, making your gThankYou! Certificate of Gratitude gift truly special this holiday season. At gThankYou!, we are committed to helping companies find easy, meaningful and affordable ways to celebrate employees and clients holiday time and anytime! What’s easier for you and your recipients than a gThankYou! 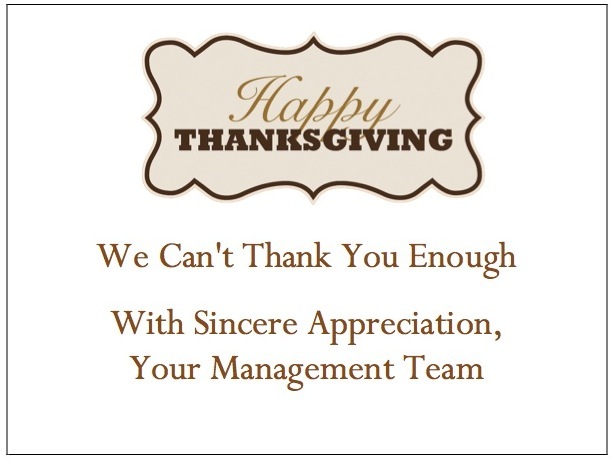 Turkey Gift Certificate or a Turkey Or Ham Gift Certificate to show your gratitude for employees’ hard work for you? gThankYou! Certificates of Gratitude are redeemable for any Brand (Turkey or Turkey Or Ham), at nearly any Store in the U.S. And, our popular Enclosure Cards are free with any purchase! And, virtually all orders ship the day they come in. At gThankYou!, we work hard to make it easy for you. 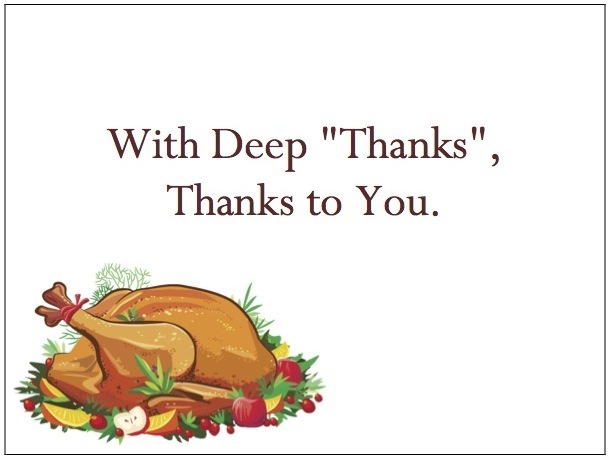 Turkey Gift Certificatesand Turkey Or Ham Gift Certificates by gThankYou! are two of America’s favorite employee gifts and can be redeemed for any Brand (Turkey or Turkey Or Ham), at virtually any Grocery Store in the U.S.
It’s simple, really. What all employees really want is your thanks, recognition and support — and, if they’re dealing with Hurricane Sandy, for instance — a thoughtful, meaningful, practical gift. A study by the Corporate Executive Board shows compensation is not in the top 10 factors that make employees stay at your company — rather, they want to know their jobs matter. So say thank you. Show your appreciation for their hard work and contributions. As an employee, it’s always nice to be recognized with a gift or award from the boss. Small surprises and tokens of your appreciation during the holidays — and spread throughout the year — help the people in your work life feel valued. Managers don’t always get it. Managers ranked promotions and cash bonuses as the two most effective ways of recognizing employee accomplishments. Workers preferred an in-person thank you or having a job well done reported to senior management. Everybody wants to feel valued and appreciated — and that includes your employees. Recognition is among the top 10 things employees want from you, according to the CEB study. Support employees during tough times. Helping employees during a crisis shows them you respect them, their loyalty and their hard work on your company’s behalf, and they’ll repay you with their best work going forward. Those companies that pride themselves on a family-type atmosphere are the ones that generally go above and beyond for their employees in times of crisis, Brooks notes. But Kerekes says those companies tend to be the exception rather than the rule. One of those exceptions is TechMediaNetwork, which had all 70 of its Manhattan-based employees affected by Hurricane Sandy. As soon as the storm hit, company CEO Jerry Ropelato asked management to help employees in any way they could. The company offered employees reimbursements for everything from meals and cellphone charges to gym pass memberships (so they could take a hot shower) and hotel stays. Human resources consultant and Strategic HR, Inc. president Robin Throckmorton observes that showing compassion in difficult times can help businesses’ bottom lines in the long run. Gifts motivate employees to work harder. “Rewards — whether monetary or not — for performance that’s consistent with your strategies are extremely powerful tools for creating alignment between your employees’ motivations and the strategic direction of the company. And what better time to reward your employees than during the holidays? A blog post at TargetMarketing.com advises: Almost everyone appreciates gifts of food. Holiday turkeys consistently fall in the top of the best employee gifts list in the “food as family perk” category. Gift cards or certificates are meaningful and convenient. Gift cards or certificates that allow employees to choose where they shop and what they buy may even be a better idea. A gThankYou.com gift certificate of gratitude for a holiday turkey or ham is the ideal way to thank and recognize employees. It’s convenient: Employees can use them at any store, for any brand of turkey or ham in the size that fits their families, and can shop anytime. It’s meaningful: What says “Happy holidays!” better than providing the foundation of employees’ holiday meals? It keeps your company front and center: You’re top of mind at the holiday table as employees and their families enjoy the meal your gift made possible. Give back to your employees at the holidays. We agree. 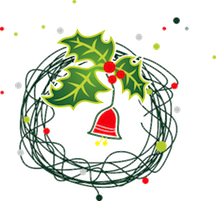 Make your employees’ holidays happy and they’ll reward you with engagement and productivity. What creative holiday gifts will you give your employees? Why Give Employees a Thanksgiving Turkey? Thanksgiving Turkey is the centerpiece of the holiday meal – it represents family, thankfulness and American tradition. The Gift of a Thanksgiving Turkey is a truly Meaningful Gift. Thanksgiving holds a special place in people’s hearts and lives. It’s the time we stop our everyday lives and surround ourselves with family and friends to give thanks. Everyone has fond memories of this family centered holiday – the smells of turkey cooking and a wonderful array of favorite family dishes, the joy of family and friends, the sense of belonging, the giving of thanks for those who came before us and the sharing of blessings. Thanksgiving is a uniquely American holiday dating to the origins of our nation and the celebration of shared community and bounty. Our modern-day Thanksgiving dinner celebrates that original Thanksgiving — and the centerpiece is the turkey. If you give employees holiday turkey, your business is an important part of their holidays. 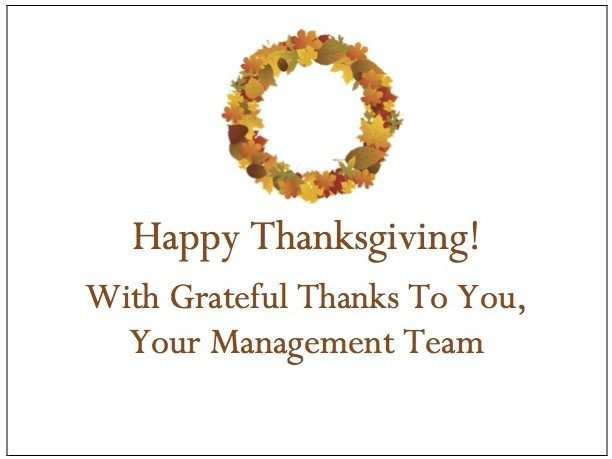 Thoughts of you are front-and-center as employees and their loved ones enjoy Thanksgiving. That’s priceless. Everyone appreciates the gift of a holiday turkey. It’s a valuable contribution to a family’s Thanksgiving dinner. These days, that’s an especially appreciated gift. A Thanksgiving Turkey has more emotional impact for the price than anything else. A Thanksgiving turkey costs just a few dollars, but its meaningfulness makes the return on investment incalculably high. 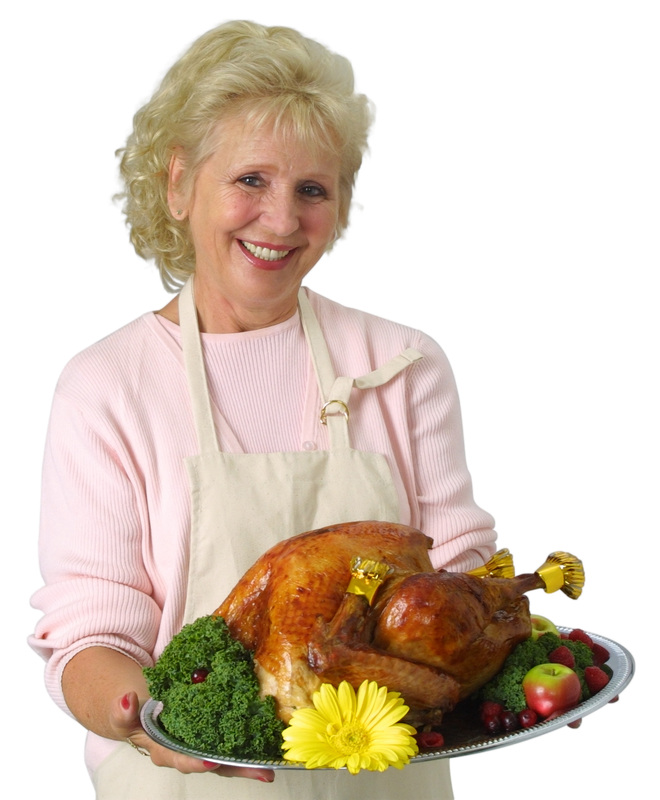 As an employer, is it really practical for you to buy and distribute fresh or frozen turkeys to employees? And how do you know what size turkey fits each family? How would you know what will fit each family’s holiday plans and available refrigerator space? Consider this cautionary tale—a true story about Hughes Aircraft—related by author Brooks Mitchell, Phd., professor emeritus of management at the University of Wyoming and the founder of Snowfly Incentives. Writing at Human Resources IQ, he relates how Howard Hughes and his right-hand man had delighted employees with holiday turkeys in the company’s first two years. By year three, the process was getting unwieldy and expensive. Do you want to share the gift of a Holiday Turkey, but don’t want the logistical hassles of distributing turkeys to your workforce? gThankYou! Certificates of Gratitude can help! At gThankYou! we are committed to meaningful, affordable and convenient ways for Companies to celebrate employee holidays. A gThankYou! Turkey Gift Certificate allows recipients to choose Any Brand and size Turkey, at virtually Any Grocery Store in the U.S., when they want. Our Gift Certificates are easy to insert with payroll or hand-delivered with a smile and a big “thank you”. A better choice for you and your recipients! Many companies want to provide recipients the choice of a holiday turkey or ham. It’s a thoughtful choice if you want your gift to be for the holiday season – that way recipients can choose to buy what they want, for the occasion they wish to celebrate. gThankYou! Gift Certificates can be personalized with recipient and giver names (and your logo). Our popular Enclosure Cards come free with any purchase. You choose your design, personalize your message and add a Company logo. All free with your purchase! 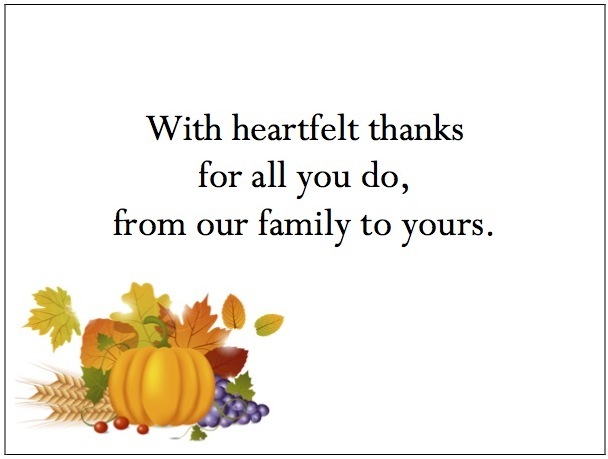 Download our free Catalog of Thanksgiving Enclosure Card designs to see all the designs at once and share with management and co-workers. What’s more, virtually all orders ship the day they arrive. If you have a large, spread-out workforce we can help you with that too. Our custom web ordering system (“SLOOP”) allows locations to order directly from your custom selection of products, your negotiated prices and free enclosure cards. To learn more, call us at 888-484-1658. Share your Thanksgiving gratitude with employees with the thoughtful gift of a Thanksgiving turkey. gThankYou! looks forward to helping you with your gift-giving plans this holiday season! 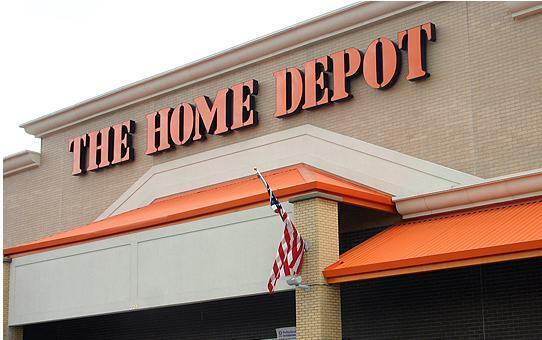 Why Home Depot Needs gThankYou! Home Depot needs gThankYou! because when it comes to celebrating employees, we make it easy and cost-effective, especially for large decentralized workforces. gThankYou! Employee Gifts offers “SLOOP”, an on-line ordering system customized to meet the unique needs of large distributed workforces. The gift of a gThankYou! Turkey or Ham Gift Certificate at the holidays is an affordable, meaningful gift appreciated by everyone. Savvy store managers conveniently distribute our Certificates directly to employees (with a handshake and a big “thank you for all your hard work”) or in an envelope with payroll. All gThankYou! Certificates come with free Enclosure Cards, customized with a personal message and logo. gThankYou! Gift Certificates are redeemable for any Brand, and at virtually any Grocery store, nationwide. Recipients love them because they choose what’s best for their family, and shop when and where they want. gThankYou has a free, custom on-line ordering system just for you – with your selection of gThankYou! products, your negotiated prices and your selection of free customized Enclosure Cards. Locations order directly on-line and arrange for payment with a P.O. or credit card. We ship them directly. Nearly all orders ship the same day unless you request differently. It’s that easy! Really. That’s why customers tell us “they love gThankYou!”. Now isn’t that easy? If your company has a large decentralized workforce, let us know if our custom online order system, called “SLOOP”, is right for you. gThankYou! 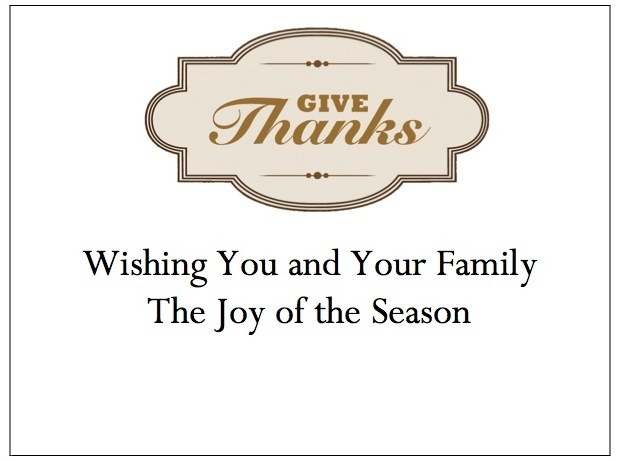 is pleased to announce new Fall and Thanksgiving Themed Enclosure Cards for your holiday employee gift certificates. These new heartfelt Enclosure Card designs help make your gThankYou! Certificate of Gratitude gift certificate truly memorable. gThankYou! offers company leaders a convenient way to recognize and reward workplace success, holiday time or anytime. gThankYou! Certificates of Gratitude come in a variety of meaningful yet affordable varieties including: Turkey Gift Certificates, Ham Gift Certificates, Turkey or Ham Gift Certificates, and Grocery Gift Certificates, plus more! 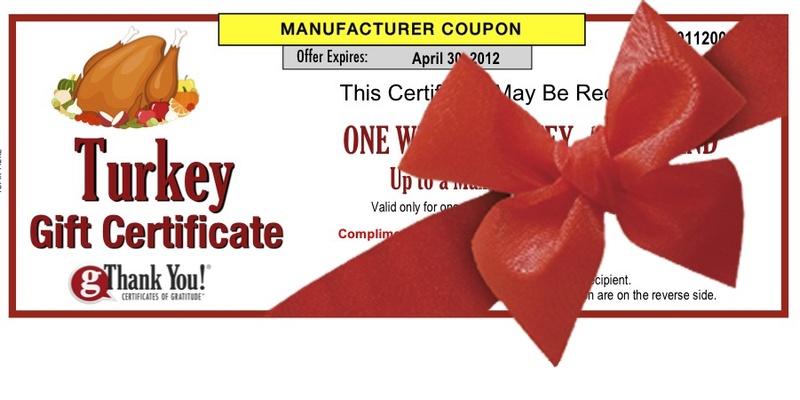 All certificates are good for any Brand, and can be redeemed at nearly any Grocer in the U.S.
gThankYou! 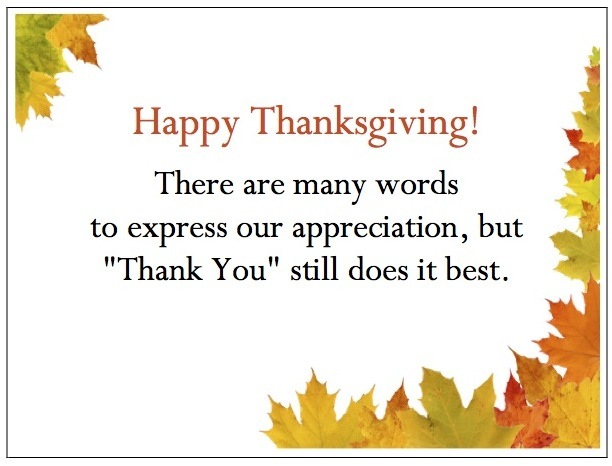 Enclosure Cards are provided free with purchase of any variety of gThankYou! Gift Certificates. What’s more, gThankYou! Enclosure Cards can be customized with your personal message and company logo. And, nearly all orders still ship same day. 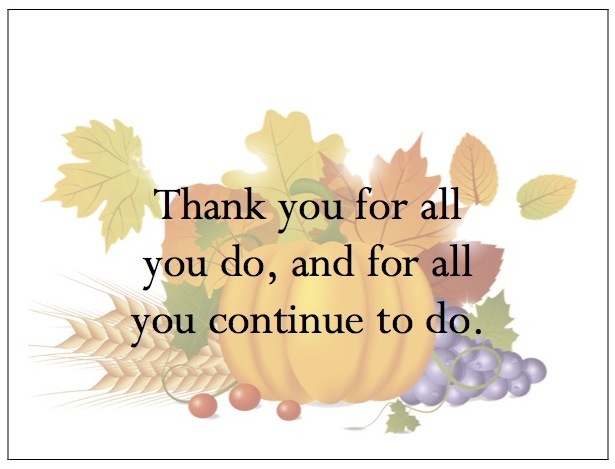 You’ll find these new Enclosure Card designs plus other Fall & Thanksgiving Favorites on the gThankYou! website. gThankYou! Enclosure Cards are available for all seasons and variety of occasions; gThankYou also offers Winter and Holiday Enclosure Cards, Spring and Summer Enclosure Cards, and many More Enclosure Cards.